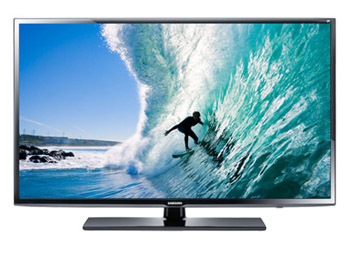 The UN46FH6030 is the most value oriented active 3D LED TV in Samsung's lineup this year. 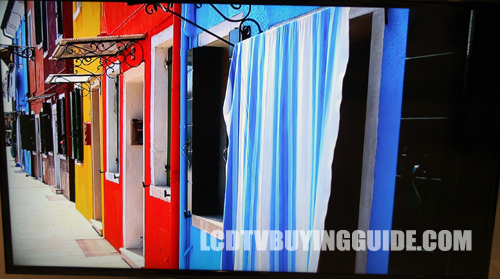 It's got a full array backlight rather than the edge lighting seen in almost all of the other LED TVs Samsung has in store for 2013. The picture quality benefit of this is not as clear cut as the benefit when it comes to value. It's cheaper than the F5500 of the same size below it. It doesn't have any Smart TV features, so a Roku or gaming console is going to be the way to get streaming content on this screen. The full array LED backlighting does make an impact on the picture quality, but it may not necessarily be the answer the typical LED problems like side angle viewing and screen uniformity. 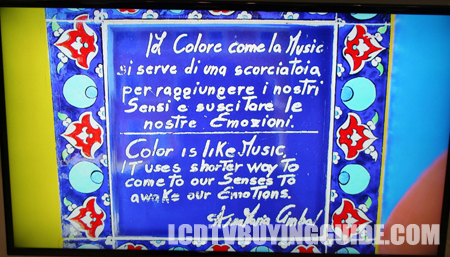 From what we have seen in edge-lit LED TVs this year, they are dealing with those problems in a good way. A full array LED TV like the 46FH6030 is going to be plenty bright though. That is one major plus. The 120Hz refresh rate is a welcome addition to the feature set on the FH6030. Judder typical for fast action and camera panning is significantly lessened with a high refresh rate panel like this one. Benefits are best seen in sports programming. Video games also benefit from the 120Hz panel since there is usually a lot of fast camera movement and action on screen. This really makes the TV a great value. Color performance on the UN46FH6030 is strong, both realistic and accurate. The bright backlighting can wash out colors if it is set at too bright of a level. Keep the backlight dialed back in the picture menu if you prefer more realistic colors. Fans of either look can be satisfied by the FH6030. Blacks are less saturated than many models tested this year, flesh tones look natural but flat. One of the areas you really improve in by purchasing the higher end models is color rendition. The quality of Samsung's active 3D has always been good in the past, and it is no different on the UN46FH6030. 3D content produces a lot of depth without losing picture quality. Side angle viewing for 3D content one weak spot we saw in tests. We have seen a few different passive 3D TVs that perfrom much better with 3D side angle viewing. Make sure you try out different picture modes once 3D is enabled because the preset picture modes change a good bit from their 2D settings. The active 3D glasses are very light and comfortable this year. Sadly, the UN46FH6030FXZA does not include any glasses in the box. The compatible glasses have to be purchased seperately. To make the deal sting a little less, they can be purchased for around $20 a pair. The model number is SSG-5100GB. The appearance of the FH6030 is very similar to the EH6000 from last year. It is very basic with glossy black plastic bezels and a square stand. The bezels are an attractive 0.7 inches thin and are the best part of the appearance. Since this is a direct LED backlit TV, there is a little more depth compared to the models with a lone 'F' in their number. The 46FH6030F has a depth of 3.7 inches versus the thinner models with 2 inches in depth. The UN46FH6030 sells for the bargain price of $799.99. That's not a bad deal if 3D is a top priority. Direct competition is pretty slim as a 3D TV without internet features is pretty unique. 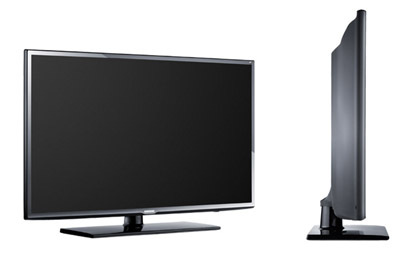 Some similarly priced options are the LG 47LN5400 and the Vizio M471i.